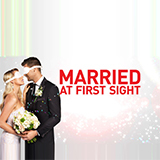 True Story With Hamish & Andy is a TV show on Australian national television from Channel 9 with an average rating of 3.8 stars by TVCatchUpAustralia.com's visitors. We have 20 episodes of True Story With Hamish & Andy in our archive. 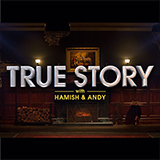 The first episode of True Story With Hamish & Andy was broadcast in October, 2018. Did you miss an episode of True Story With Hamish & Andy but don't you wan't that to happen in the future? Please set an alarm and add True Story With Hamish & Andy to your favourites, so we can remind you by email when there's a new episode available to watch. Completely free: handy! Paul always dreamed of jockeying a horse in the Melbourne Cup. So in 1996 he drove to Flemington to make his lifelong dream a reality. But what happens next for Paul, ensures the Flemington crowd will remember him for all the wrong reasons. Jeremy was a good student at high school, but not a popular one. One day he catches a lucky break from his Mum's boyfriend; the foreman at the Wonka Nerds factory, and Jeremy learns that the best things in life aren't free. Today, Murray is a veteran tree lopper with a lifetime of memorable experiences. But none were more memorable than one he experienced at the beginning of his career. One that took him deep into the dark and dangerous world of tree lopping. At 22, Lisa fell in love with John, the man of her dreams. But one morning, Lisa's dream becomes a nightmare, and how she escapes from this unbelievably true situation provides us with one of the most memorable stories of the season. Scott is an upbeat truck driver who loves his job and the TV show, Law & Order. But on what starts as just another day, ends with Scott becoming part of a car theft conspiracy, and convincing the police that he isn't a criminal mastermind. Back in 1980s Queensland, all Phil needed were his mates, an esky full of beer, and a gorgeous sheila hanging off his arm. And on one fateful day at his mate Robbo's BBQ, he would have had everything he wanted, if it wasn't for a pesky dog. Stephen was a teenager in the 1980s, and in between bum-modelling jobs for Jag Jeans, he started dating the local it-girl. But while sneaking her out to go clubbing one night, Stephen learned the true meaning of 'over protective father'. When Sarah starts a trial job waitressing at the fanciest restaurant in town, she suspects a rival trainee is sabotaging her. But when she finds out what's actually going on, her crushing shame leaves her no choice but to quit on the spot. Alan is a fixer. He fixes things. So when an airline asks him to help replicate a dead Persian cat so the owners won't tell the difference Alan diligently begins on a cat transformation mission. But what results seems crazy even to him. When Carol was 15, she decided faking an illness was the only way to get out of an English assignment. But it turns out once Carol is committed to something there is no going back – even if what she has committed to is entirely fictitious.